Airbnb and VRBO Pocono Rental and Cabin for Thanksgiving. No other time seems more beautiful than the Fall. It’s the time to visit the Poconos Mountains and cherish the alluring natural and scenic beauty of the forests that are naturally enhanced with brighter earth tones, the crispier air, and also the travellers hanging out and enjoying the campfire cookouts. 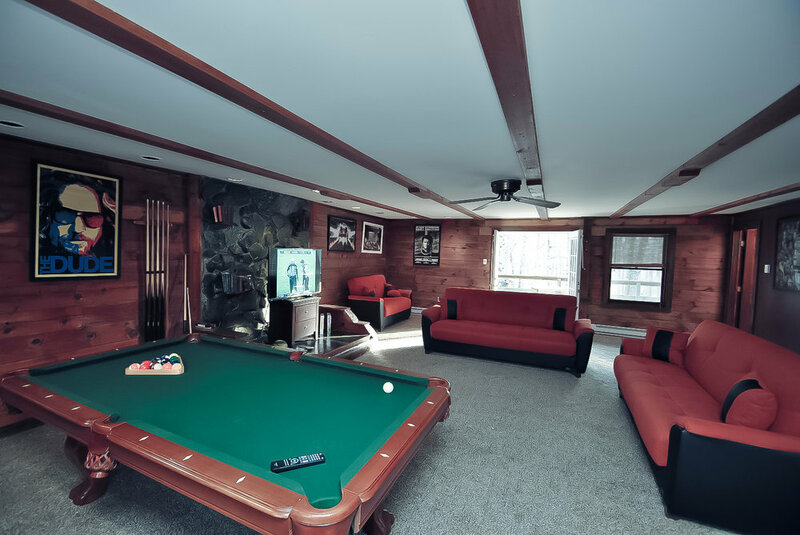 A special package is designed for all the beautiful people out there; we invite you to visit Poconos and feel relaxed this Thanksgiving season by leaving all of your stress behind and let us fulfil all of your enjoyment needs with your family. Thanksgiving delicacies and activities such as the Walnut Hunt as well as themed arts & crafts for children are organized by the Poconos every year. · Indulge into the adventurous activity and go on a Natural Trail into the woods, go Rock Climbing, go Zip Lining, and much more. · We also have some athletic indoors and outdoors contests for you to enjoy with your family! · Test your aiming skills with archery and Trap Shoot. · There are many activities that can keep your child engaged such as an Indoor pool, a splash pad specially designed for toddlers, and water slides. Holidays in the Pocono Mountains bring you ample feasts, colourful decorations and an abundance of good cheer. Whichever the season may be, you'll always find a reason to celebrate. From fireworks to dinners, holidays in Poconos will offer enduring fun for you and your family. Reserve your VRBO and Airbnb Rental for Thanksgiving Today!